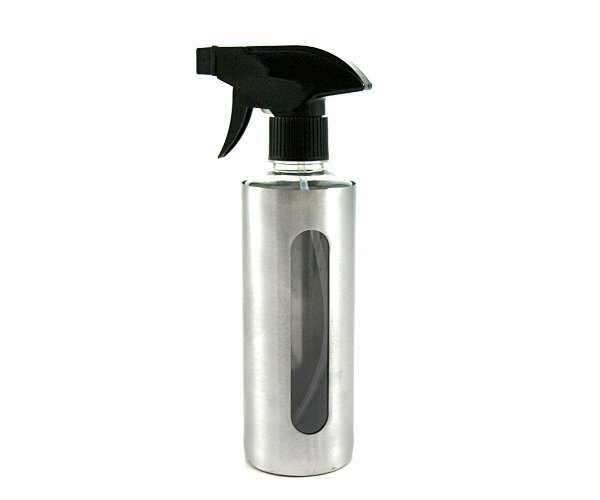 This sleek, stainless steel marinade spray bottle is an essential tool for serious grill masters. Spray wine, soy sauce, fruit juice, or other flavorings on foods as they grill. Applies a micro-thin layer of flavor and keeps foods moist. Reservoir window on the side shows when it’s time for a refill. Fill bottle with wine, soy sauce, fruit juice or other flavoring liquid and spray on foods as they grill. Hand wash only.